Make your escape and go camping or touring on one of our fully outfitted adventuremobiles. An Xtracycle cargo bike is a cyclotourist’s dream machine, always ready and waiting to camp and tour. By its very nature, an Xtracycle longtail cargo bike or e-bike is always ready to rock and roll off into the sunset with all your camping gear. No need to add racks and bags; just stash your stuff, bust out the map, and hit the road. But be prepared: Everyday adventure is the norm. When you head out for a long haul on a cargo bike, you’re closer to the ground, interacting more with people and places. Fun detours and exciting developments come naturally. Any day can end up epic! But don’t take our word for it. 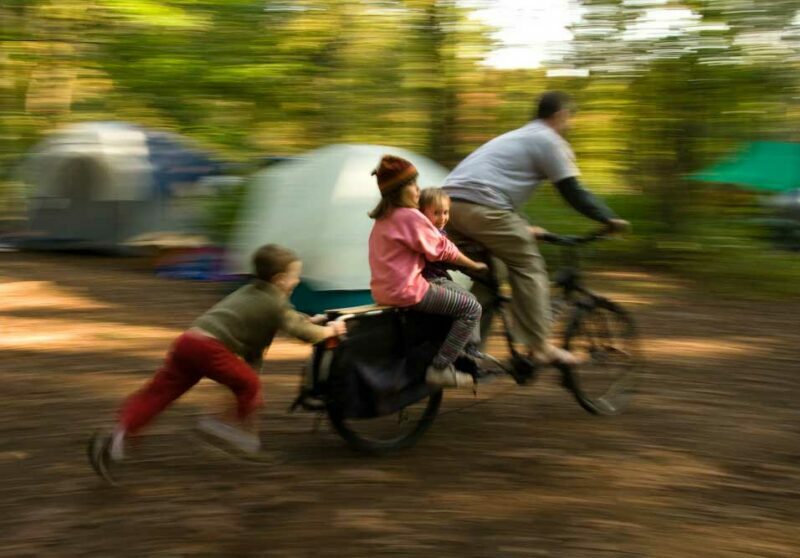 Watch how these folks maximized their adventure options with Xtracycle. Already have a favorite touring machine but want to add hauling capacity? You can always outfit your existing bike with our FreeRadical Leap cargo conversion kit, which transforms mild-mannered regular bikes into super-cargo heroes.